Aimée Garnier Whitby, a beautiful French artist and wife of one of Maine's richest and most powerful men, is found near death on the Whitby family's private summer island, the letter "A" mysteriously carved into her chest. Veronica Aimée Whitby, the eighteen-year-old descendant and virtual double of the first Aimée, becomes the victim of a near perfect copycat murder. With another beautiful, promising young Whitby woman slain, the media begin to swarm and pressure builds for Mike McCabe and Maggie Savage to bring the killer quickly to justice. But the key to solving Aimée's death just might have been buried with her beautiful ancestor. 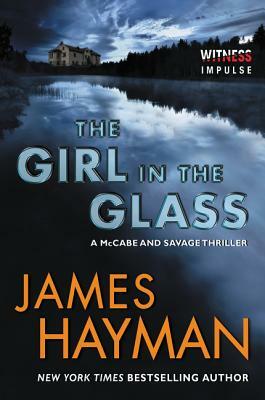 James Hayman is the New York Times bestselling author of the McCabe and Savage thrillers The Cutting, The Chill of Night, Darkness First, and The Girl in the Glass, which combined have sold more than half a million copies.